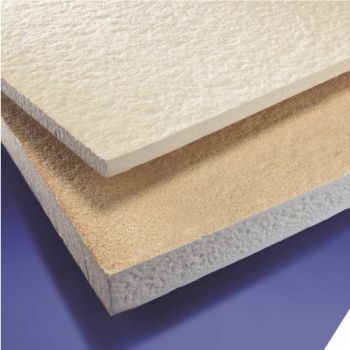 Insulation boards are manufactured from refractory ceramic fibres or alkaline earth silicate wool, blended with specially selected inorganic and organic binders to give rigid boards with exceptional characteristics. Insulation boards are easy to cut and shape with standard tools. 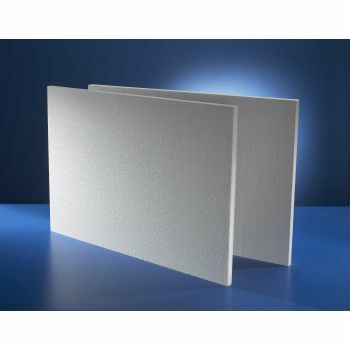 These high temperature insulation boards exhibit high strength and rigidity coupled with excellent insulating performance and high temperature stability. Insulation boards are particularly suited to applications where reduced out-gassing and/or high definition mechanical machining are required. The high temperature insulation board products are available in a wide range of sizes and thicknesses. high temperature furnace and kiln linings,rigid hight temperature gaskets and seals, heat shields, gas boiler combustion chamber linings. The Bio-compatible flexible insulation paper for use up to 1200°C is made of alkaline earth silicate wool mixed with selected organic binders in such a way so as to obtain flexible paper with exceptional characteristics. The advanced production techniques ensure a uniform structure, and this is enhanced by low thermal conductivity, good resistance .. 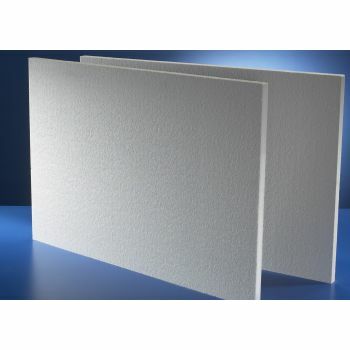 DESCRIPTION Our high temperature insulation boards are manufactured from refractory ceramic fibres, blended with specially selected inorganic and organic binders to give rigid boards with exceptional characteristics. The high temperature - up to 1100 C insulation board is easy to cut and shape with standard tools. These insulation b.. The ceramic fibers boards are manufactured from refractory ceramic fibres, blended with specially selected inorganic and organic binders to give rigid boards with exceptional characteristics. 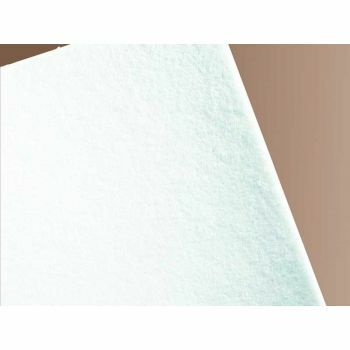 The ceramic fibers boards are easy to cut and shape with standard tools; These boards exhibit high strength and rigidity coupled wit..
DESCRIPTIONOur high temperature insulation boards are manufactured from refractory ceramic fibres, blended with specially selected inorganic and organic binders to give rigid boards with exceptional characteristics. The high temperature - up to 1500-1600 C is reached by a blend of blend of ceramic and high alumina polycrystallin..